There have been more than a few complaints about the restaurant’s current product, best summed up by Twitter user @upgrade_music: "Dear KFC, no one likes your fries. Yours sincerely, the entire World." KFC has taken that criticism on board, developing chunkier, taster fries that place real potatoes front and centre. 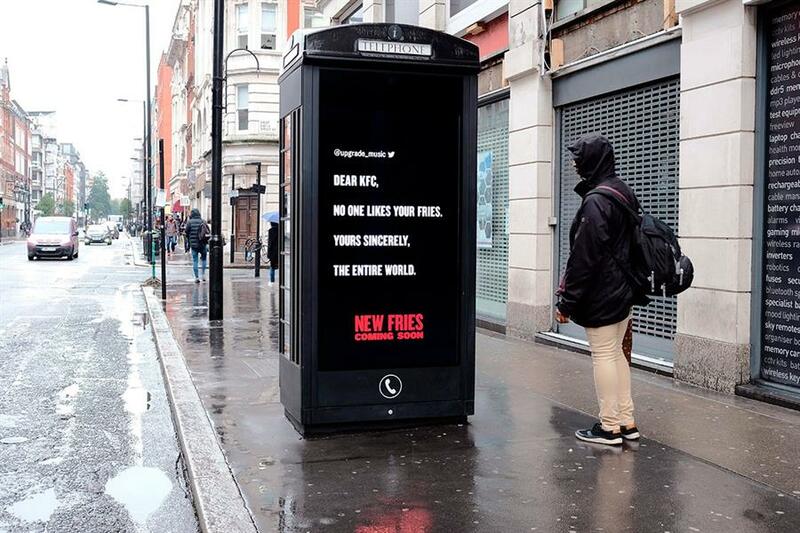 The "Ain’t no small fry" campaign shares the negative tweets to respond to customers’ discontent. It will run online, in press and outdoor.